Kimmie Brown attended Texas Women's College where she received her teacher's certificate. She moved to Dayton is 1925 to begin her teaching career. She soon advanced to become the primary school principal. Kimmie met her future husband, Harry Charles Brown, who was the son of Charles S. and Bertha Brown of Dayton. She continued teaching until the coming birth of her first child in 1932. After the birth of her second child in 1935, she operated a private kindergarten for some years in her home in the old Brown's Inn. Kimmie, Harry, and their children, Charlene and Norman, moved to San Marcos in 1946 where they owned and operated a hotel. After selling the hotel in 1954, Kimmie and Harry returned to Dayton in 1955. In January of 1957, there was a need for a 2nd grade teacher to fill a vacancy provided when one of the teachers died. Kimmie was hired to replace this teacher, but having only two years of college, she had to continue her education to receive a BA degree in Elementary Education. 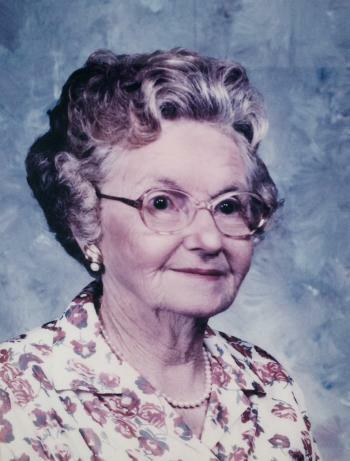 She continued teaching 1st grade at Stephen F. Austin Elementary until her retirement in 1973 at the age of 72. Kimmie was very artistic and always managed to create innovative displays to aid the learning process for her students. One example, and one of her most popular ideas, was space ships to the moon. This was during the time of the first manned trips to space. Each student had his or her own space ship mounted on cords connected to a moon. When a student achieved advancement in math, they were allowed to move their ship another step to the moon. She also made a large abacus on a wooden frame to help the children learn to count. This abacus is exhibited in the Historical Room at Dayton High School. Kimmie shared her ideas for teaching with many of the other teachers at SFA and also helped prepare their displays. Kimmie had a talent for teaching children to read. Her energy was endless when the children needed extra help to achieve their goals. During the summer recesses, and even after retirement, she tutored many children at her home. Many of her students had their silhouette made by Kimmie, using a homemade projector to cast a shadow onto a paper where she traced the image of the child. Many of the silhouettes are still displayed in the home of proud parents and grandparents of her students. Kimmie loved her students and never had one she didn't like. Her teaching career in Dayton spanned several generations. Some of her earlier students later had their children, and even some grandchildren, in her classes. She never chose the easy way to educate her students. In her later years as a teacher, she taught the "at risk" classes. She loved challenging her students to achieve their goals. There were very few students who couldn't learn to read under her care. Kimmie was named "Teacher of the Year" prior to her retirement. She was a member of First Baptist Church where she taught Sunday School classes for several years. She was also active in the Teacher's Association and PTA activities. 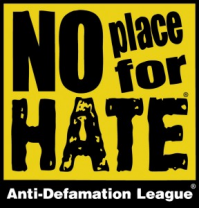 No Place for Hate® designation for the 2017-2018 school year!